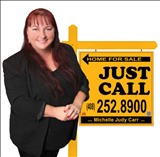 Our Family's Helped Families Like Yours Buy & Sell Silicon Valley Homes For Over 40 Years! Yes, We Can Help You Too! As creative, caring consultants who work By Referral Only, we put you and your needs first... It's all about YOU! Our mission is to help you clarify your goals, explore your options, and help you make the best choice for buying or selling a Silicon Valley Home. Our goal is for you to be so outrageously happy with the help we provide that you gladly introduce us to your friends, colleagues, neighbors and family members- all the people you care about who can benefit from and appreciate our decades of marketing, real estate and business experience. As co-author of "What You Need to Know Before Buying or Selling a Home in Silicon Valley" buyers like you who are looking to purchase homes in Santa Clara County, and especially the Cupertino Schools market (Lynbrook High, Cupertino High, Monta Vista High and more) know you can trust us as the expert real estate agents who can best advise you when searching for homes online. In today's competitive market, you need and deserve the best agent and advice possible to succeed in buying or selling a home in the Silicon Valley.